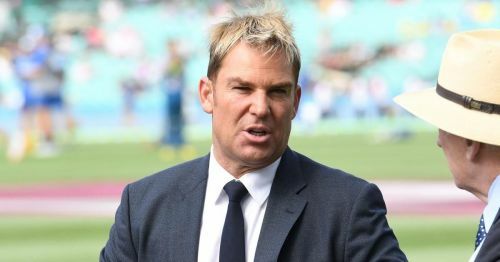 Cricket's all-time spin sensation Shane Warne has revealed his favorite three spinners in white-ball cricket at present, namely Kuldeep Yadav, Yasir Shah and Afghanistan man Rashid Khan. Not only does he enjoy watching them the most, but also reckons they are the top three at the moment. Warne, who has over 700 Test wickets to his name, is widely regarded as the best spinner of all time. At least, the most magical wrist spinner to have played the game. He is often seen talking cricket on the sidelines and providing expert opinions. The former Australian skipper is also the brand ambassador of the Rajasthan Royals. Meanwhile, the likes of Kuldeep, Shah and Rashid Khan are all established slower bowlers for their respective nations, across all formats of the game. Kuldeep Yadav has played just six matches, but fetched 24 wickets to his name. In 44 ODIs, the chinaman has an impressive return of 87 wickets. Yasir Shah has a staggering 203 Test wickets in just 35 matches. Rashid Khan meanwhile, is just 20, but has already crossed the 200-wicket mark for his nation, that is still working its way up in the international circuit as a Test-playing nation. And with all their impressive strike rates, it comes as no surprise as to why Warne, who is arguably the most attack-minded spinner to have played cricket, has chosen these spinners. "A good spinner bowler is a good spin bowler. It doesn't matter if he is a wrist spinner or a finger spinner. Saqlain Mushtaq, Muttiah Muralitharan, Daniel Vettori, there were so many good finger spinners in my time." "If you get a good wrist spinner, they are always going to get picked as they will always take wickets. They might go for a few more runs than someone else but they will always pick wickets. ODI cricket or even T20 is all about taking wickets in the middle overs and it is generally spin." "The top three who I like watching and certainly I believe has an influence on (ODI/T20) games are Rashid Khan, Yasir Shah and Kuldeep Yadav. Those three are the best three going around at the moment and I really enjoy them watching the most," Warne asserted. Warne's focus, however, will now turn to the IPL, as he will join the RR squad ahead of a crippling season that is scheduled to begin on March 23. Muttiah Muralitharan: "Rashid will come good in Tests as well"